You see, the sample I received for this review had a rather annoying problem with the battery door. Essentially, the small latch that should have locked in place when I applied pressure on the door kept springing up due to the pressure from the batteries inside. I managed to get it to close a couple of times, but it eventually sprung open at worst possible time, causing the batteries to fall out. 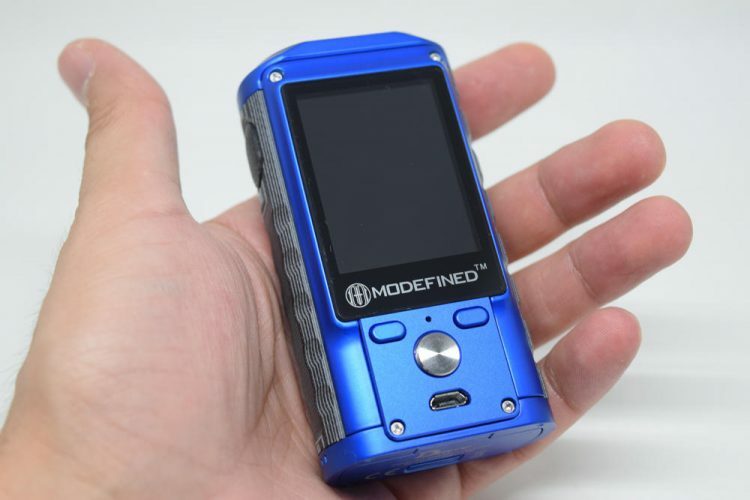 I was pretty disappointed by this, especially considering that Modefined is an offshoot of Lost Vape, one of the world’s most highly regarded vape mod manufacturer. Yes, it makes more affordable devices, but still, this was a crappy defect even for a cheap, no-name device. 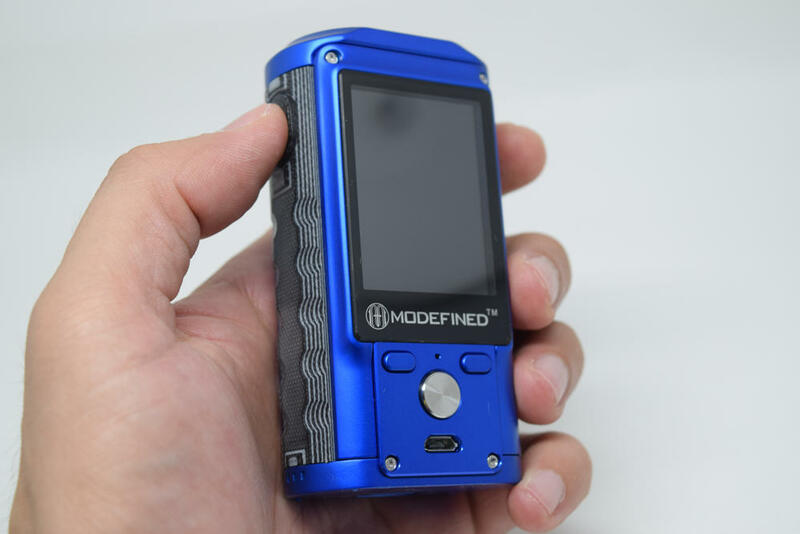 So I kept putting up a review of the Draco 200W mod out of frustration, but I recently messaged Modefined on Facebook about my problem and asked them if this was a general problem with one of their batches. They replied that they hadn’t received any other complaints regarding the battery door, and I have to admit that I couldn’t find any mention of this problem online either. In the end, I decided that there was no point in skipping the review over an issue that no other users have experienced. So I took a small screwdriver and dented the metal plate on the mod that is supposed to hold the latch on the battery door in place. I managed to get it to work and have been using it ever since. The Modefined Draco comes in a stylish white cardboard box, with a picture of the mod and the Modefined logo on the front, and a list of contents as well as some technical features of the device3 on the back. You can find the mandatory warnings as well as a scratch-and-check authenticity stickers on one of the sides of the box. 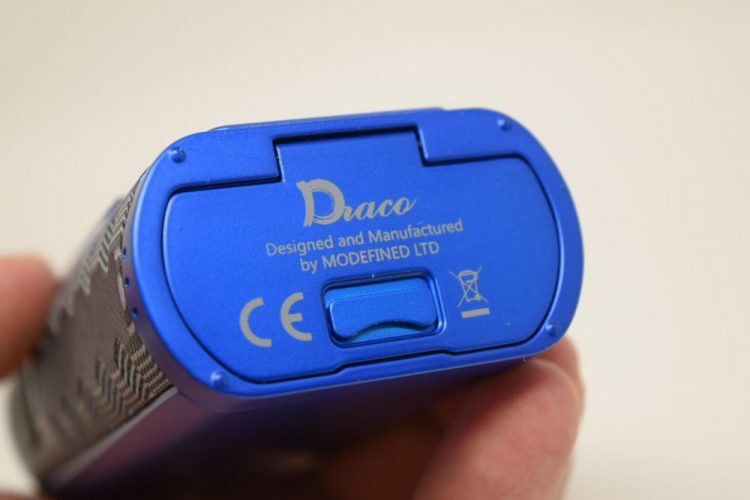 The Modefined Draco is made primarily of zinc alloy and measures 92.8mm x 50mm x 29.4mm. In case you can’t tell by these dimensions or by the pictures, this is mod has quite a bit of girth. It’s not uncomfortable to hold at all, thanks to its beveled edges and corners, but it does feel feel like a beefy mod, so if you’re more into compact devices, the Draco may not be for you. The general design of this mod is a bit unconventional. The big 2-inch color display dominates the front, with three buttons and the micro-USB charging port crammed in the lower third of the front panel, the two narrow edges seem to be made of a plastic-like material, which is actually G10, a very durable composite material, at the top we have a 510 connection with a protective stainless steel plate, a nicklel-plated, spring-loaded brass pin, and at the bottom we have a hinged battery door. 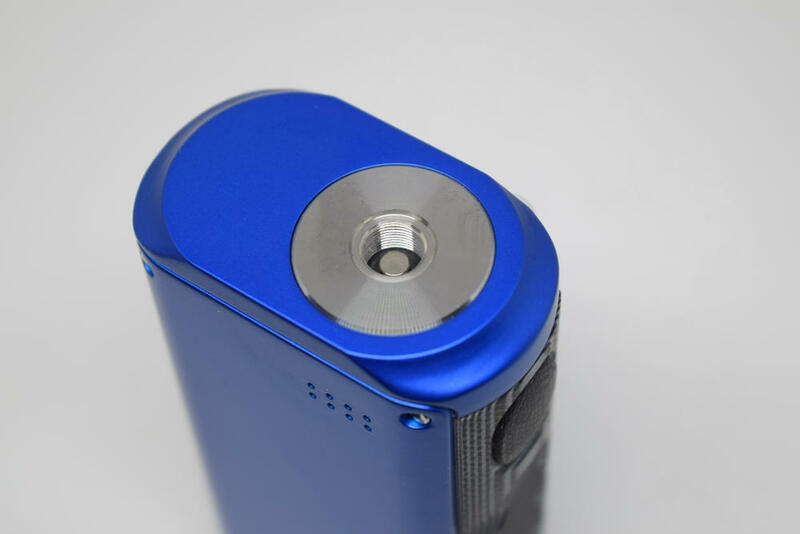 The Modefined Draco may be over 29mm thick, but because the very top of the mod is slightly narrower than the rest of it, you will get some overhang if you use it with atomizers over 27mm in diameter. The fire button is located on over of the narrow sides of the Draco and is also made of G10. For this reason, it has slightly mushier sound than a metallic button when clicked, but otherwise performs just as well. I for one have actually been quite impressed with these G10 inserts. At first, I thought it was some sort of cheap plastic and wondered why they had gone for it, but then I noticed it felt unusually tough to the touch, and after checking the Modefined website, I learned that it was actually G10. According to Wikipedia, G10 is a “high-pressure fiberglass laminate, a kind of composite material. It is created by stacking multiple layers of glass cloth, soaking in epoxy resin, and compressing the resulting material under heat until the epoxy cures”. It’s actually the toughest of the glass fiber resin laminates and is commonly used to make handles for knives and grips for firearms. It’s actually as tough as it sounds, as I tried banging on it with my nails and a blunt piece of steel, and even though I made some white marks, they were easy to wipe off leaving absoultely no visible damage. I won’t talk too much about the battery door, as mine is defective, but I will mention that it is spring-operated, so will spring up when you open it. It also features clear polarity markings on the metal contacts on the inside. Hopefully yours closes as it is supposed to without requiring the use of tools. 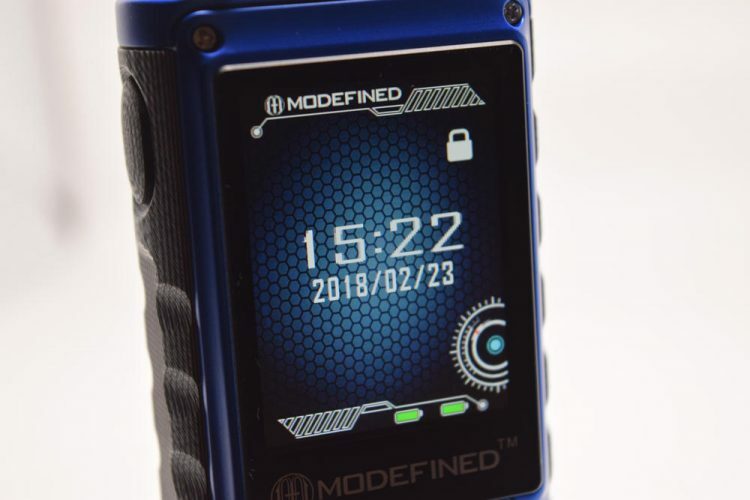 The screen is definitely one of the main features of the Modefined Draco. 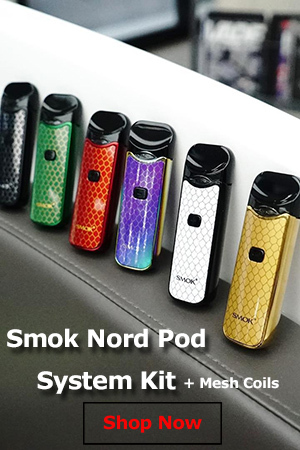 First of all, at 2-inches, it’s really big for a vape mod, but it also has a great resolution for this sort of device and some really vivid colors. Does it make the mod look like one of those retro Nokia phones? Yes, I suppose it does. Does it bother me? No, absolutely not, in fact it takes me back to my college days, but maybe younger users or those who prefer cleaner more streamlined dsigns will feel differently. 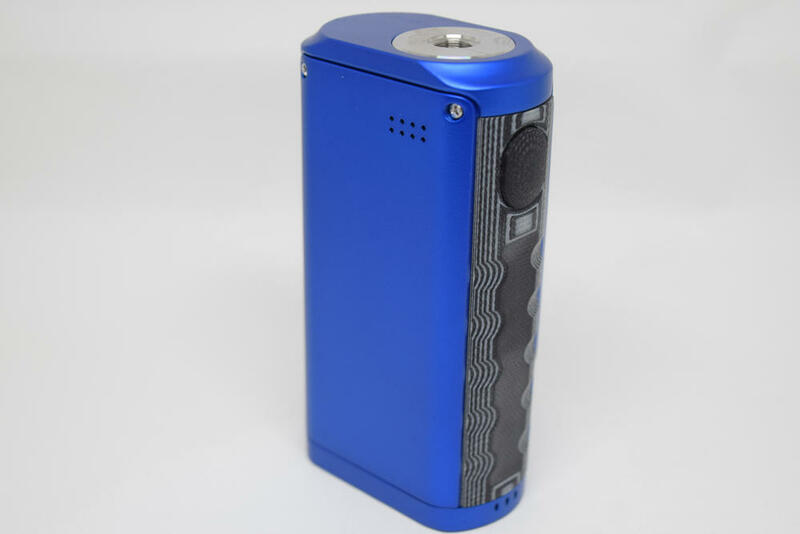 It doesn’t have that classic box mod look, that much I can say. Overall, I was impressed by the high-quality look and feel of the Modefined Draco. Despite that battery door problem I mentioned, everything felt pretty solid, and I personally loved the big display and G10 inserts most of all. 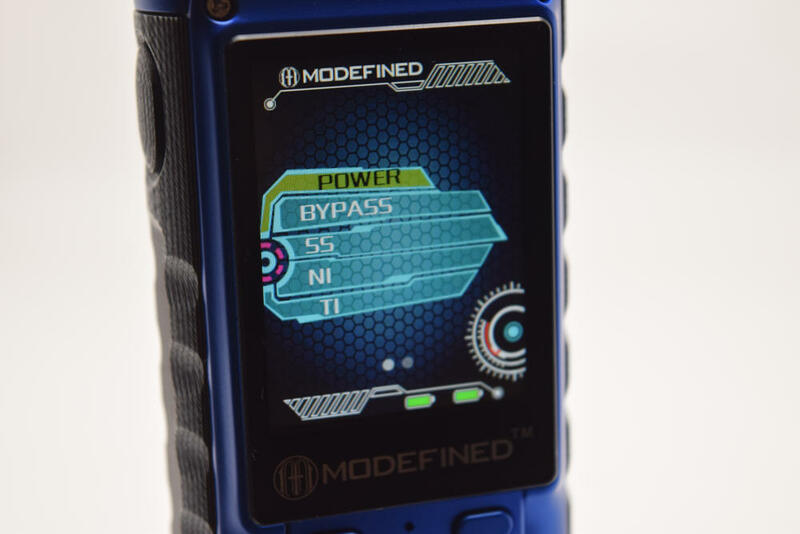 The Modefined Draco has one of the most complex menu systems I have ever seen on a mod. While that sounds like a pro – and I suppose it is, at least for people who have the time to figure it out – it can be somewhat confusing for some vapers. 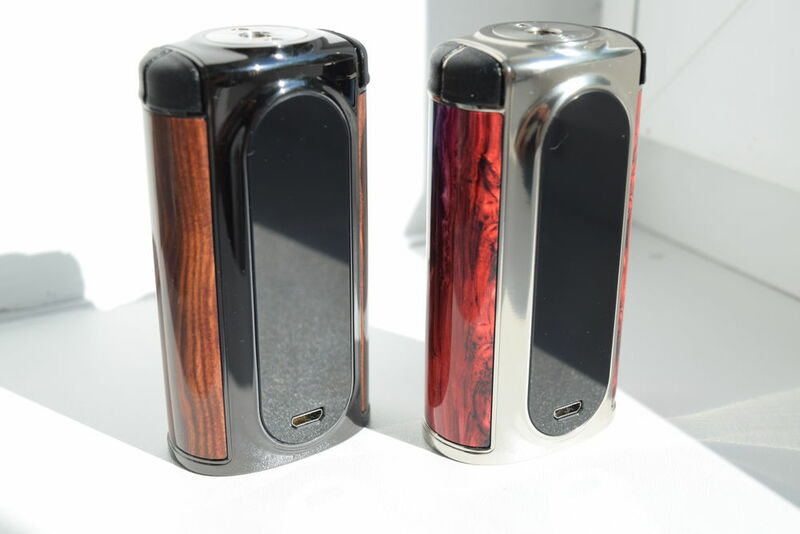 To turn on the mod, all you have to do is insert two 18650 batteries and it will boot up by itself. There’s actually no way to turn it off, other than removing the batteries, but it will go into sleep mode after a while, so you don’t have to worry about battery life. 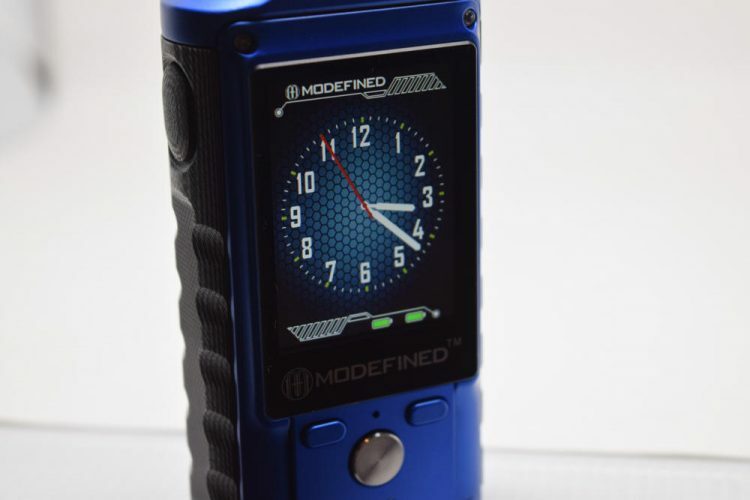 Interestingly, the fire button acts as a back button on this mod, as all the selections are made using the stainless steel “selection” button, or mode button, under the display. Scrolling is done with the ‘-‘ and ‘+’ buttons, also located under the screen. Accessing the two menus, and even adjusting the power/temperature on the Modefined Draco is a bit tricky. Unlike other mods, which only require you to press the fire button three or five times, here you have to first press either the ‘-‘ or ‘+’ buttons to highlight one of the three available options on screen and then access it using the selection button. The first option we have is “Power”, which accesses the various operating modes of the Modefined Draco. We have power mode, Bypass, temperature control for three supported materials (stainles steel, nickel and titanium), TCR and four memory modes which we can customize in the Custom Curves submenu. To select any one of them, just press the selection button while the desired mode is highlighted. Next we have the Power/Temperature option. When this is highlighted on the homes screen, just press the selection button and you can adjust the power or temperature using the ‘-‘ and ‘+’ buttons. When you’re done, just press the selection button again to confirm. While in temp.control or TCR mode, you can adjust the power output of the mod by highlighting the wattage subparameter on the home screen and pressing the selection button to adjust it. Finally, we have the settings menu represented by a small cog icon on the home screen. This is where things tart to get a bit complicated, as there are no less than four pages of settings to go through. 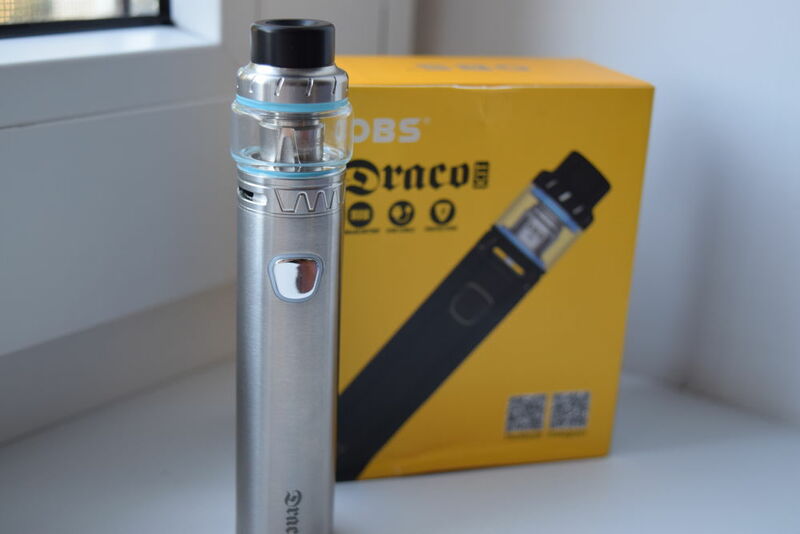 Obviously, you don’t have to g through all of them if you don’t want to, as most of the options here are just customization options which you can go without if you’re just interested in the pure performance of the device. The first option we have is Clean Puff, which, as the name suggests, allows you to reset the puff counter. Then we have Puff Time which allows you to adjust the mod’s cutoff time from 5 seconds to 15 seconds in 1-second increments. 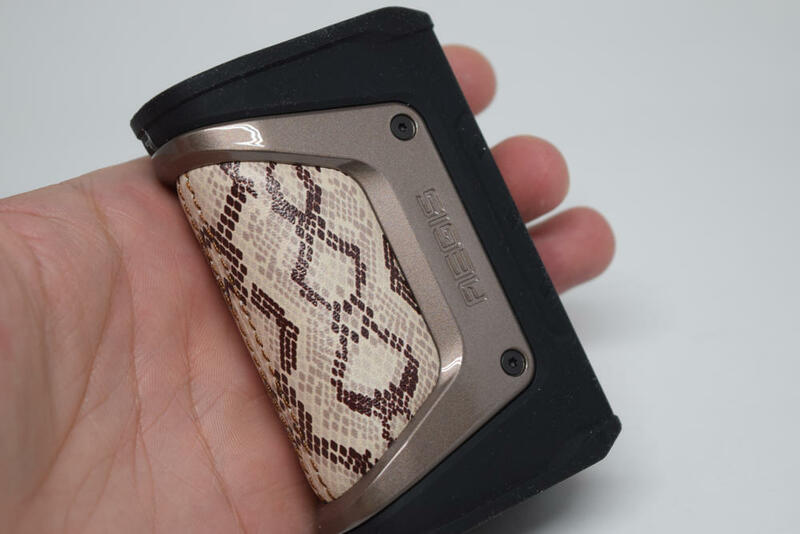 Stress Res actually checks the atomizer resistance again, TCR lets you adjust the temperature coefficient for whatever material your coils is made of, and Curve takes you to a graph where you can create your own custom 5-second vape curve in 0.5-second increments. This is actually one of the nicest custom curve menus I’ve used, and the best part is that you can save up to 4 different graphs as one of the four memory modes I mentioned above. That’s it for the first page, but we still have three to go. The compensate Temperature option is one I’ve never sen before on a mod, but from what I understand you can imput a number of degrees to make the compensate for the temperature of the environment you are in. Then we have Temp. Degrees, where you can choose to have the temperature displayed in either Celsius of Fahrenheit degrees. Boost Mode lets you choose a preheat option. Standard basically means no preheat, Power bumps up the power output by 33% for the first 0.5 second of your vape, and Power+ bumps it up by 50% the output you have set. The thing I don’t like about this feature is that it doesn’t show up on the home screen. So you can have Power+ selected, but you don’t even know it because there is no mention of it on the display. The next option is Auto Lock, which lets you choose whether you want the buttons of the Modefined Draco to be locked after a number of minutes and set that number to whatever you like, up to 60 minutes. Sleep time lets you set how long it takes for the Draco to go into sleep mode while in stand by, from 5 seconds to 60 seconds. The third page of the settings menu has a more visual theme. You can switch between the two available themes, which changes the look of the home screen slightly, then you can switch the look of the clock that appears on screen when the mod goes into stand by, and you can even select between three different fonts, some of which are larger and easier to see for someone with vision problems. Depending on what theme you have selected – A or B – the next available option is Colors/Wallpaper. You can only access Wallpapers for theme B, while in theme A, you can only change the main color shown on screen. Finally, in Brightness, you can adjust the brightness of the screen. On the last page of the Modefined Draco menu, you can set the time and date, return the mod to factory settings and check the firmware and hardware versions. As you can see, there is quite a lot going on in this menu, and while it definitely scores a lot of points for customization options, it can be a bit overwhelming for some users. Also, the navigation, with having to highlight things on the home screen to access them can be a bit hard to figure out for people used with simpler menus. All in all, the menu of the Modefined Draco is a mixed bag. There are some things I like and others that could have definitely been implemented a lot better. 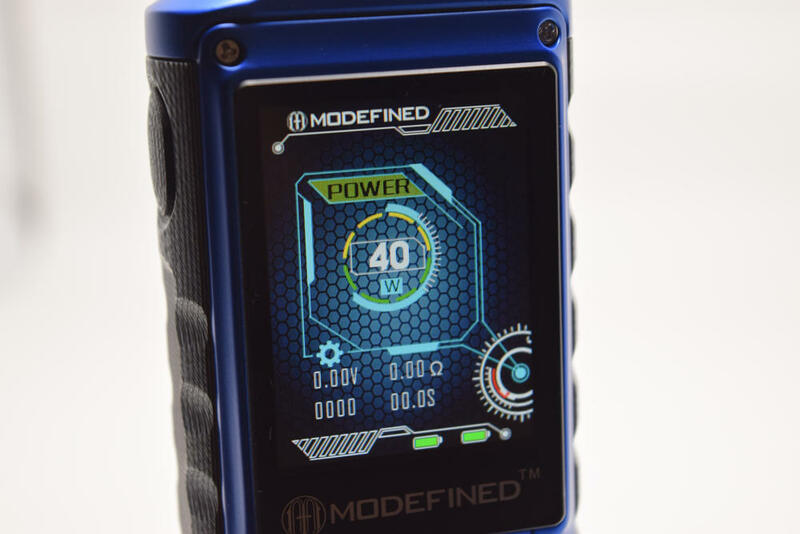 The Modefined Draco 200W is powered by a couple of 18650 batteries, but the amount of battery life you get out of them depends on a variety of factors, like the capacity of your batteries, the power output you have the mod set on, or how often you are using it. What I can tell you is that you the Draco supports on-board charging and features fast charging technology. 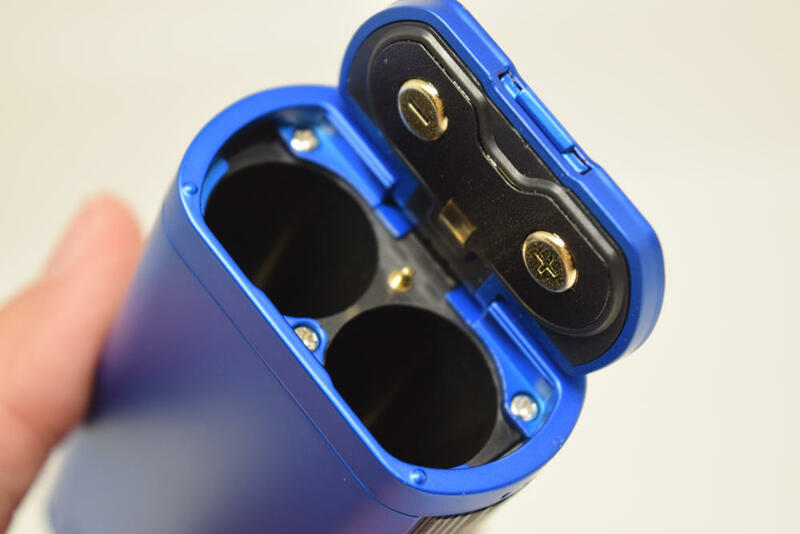 When you connect it to a power source via the micro-USB cable, you will see icons for each of the batteries inside along with percentages of their charge status. Regarding performance, I declare myself impressed with the Modefined Draco. 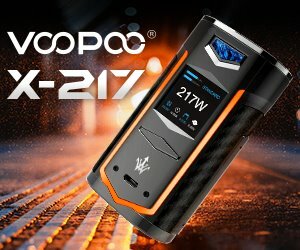 It doesn’t really have to do with its maximum output of 200W, as even though I’m sure it can actually hit it (in certain circumstances), I just never vape that high. I’m more interested in how fast a mod fires and how quickly the power ramps up, and in those respects, the Draco really does a very good job. It’s lightning fast and, depending on your set power output, you can hear the coils sizzling instantly. I’ve been using the Draco mainly in wattage mode and custom curve mode, and so far I’ve experienced no problems whatsoever. I don’t have the tools to properly measure the power output, but I can say that it feels very accurate. Temperature control and TCR modes aren’t really my cup of tea, so to speak, but I did throw an RDA with a double stainless steel build onto the Modefined Draco, just to see how it does. While it did try to fire for just an instant every time I pushed the fire button, it immediately cut off power when sensing that the cotton wick was almost completely dry. That’s about as accurate a test as I could do, so if you’re looking for more, I’m sure you can find a more knowledgeable reviewer. Performance-wise, the Modefined Draco does what it’s supposed to, so I can’t really mention any cons. 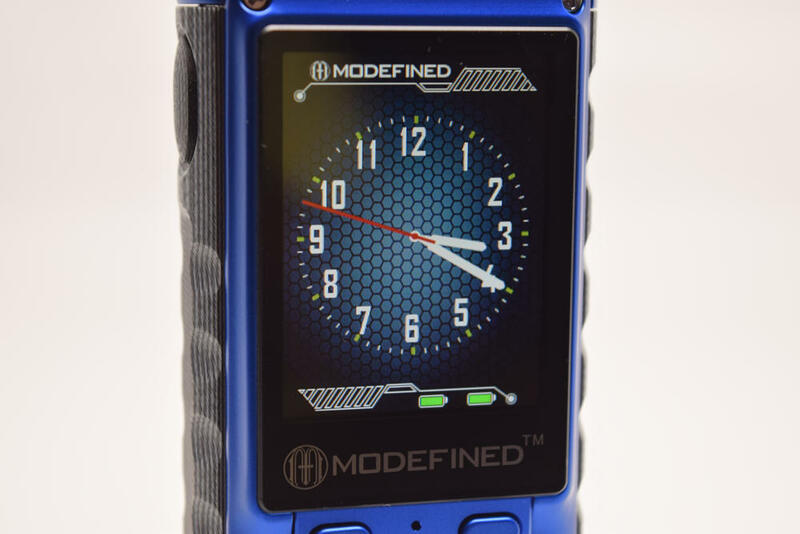 It’s fair to say that the Modefined Draco and I started off on the wrong foot due to its faulty battery door, but while that puts into question the company’s quality control, it really is one of those things that just happens every once in a while. The important thing is that it’s not a general issue, and even if it were, I’m sure the warranty would cover it. But leaving that annoying issue aside, the Draco 200W really is an impressive device. As I mentioned, I love the rugged look of it, the G10 inserts, the big color display and, last but not least, its performance. I do think its complex menu system and unsual navigation can be a bit confusing to some users, but that’s more of a subjective con. 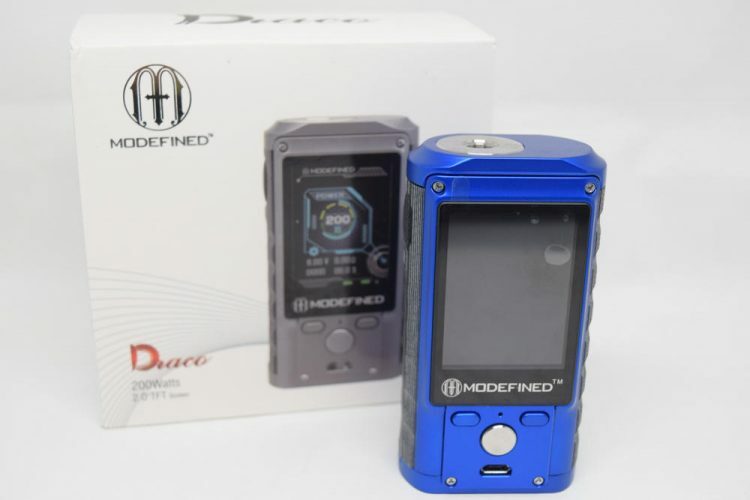 I received the Modefined Draco 200W from Sourcemore, for the purpose of this review. They currently have it in stock for just $48.88, which, considering the quality of this device, is a steal.